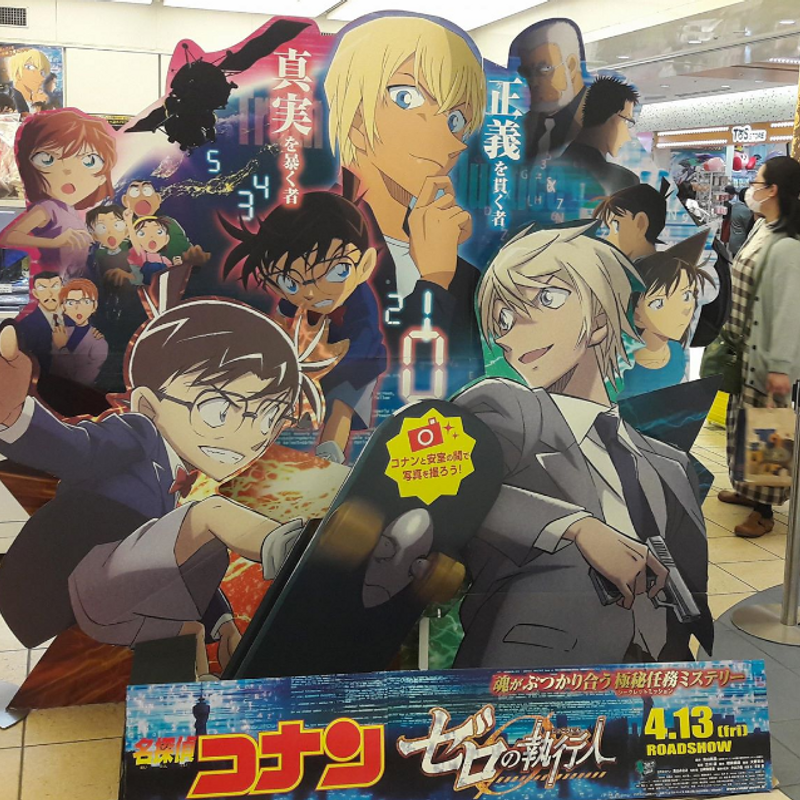 The new movie of Detective Conan will start in Japan's cinemas next week. Celebrating this some events are taking place right now. One highlight might be the Conan Café which is opened in several cities all over the country right now. Check out the website for menu and reservations. Only for two weeks a pop-up store is set up at the event space of the Character Street inside Tokyo station. 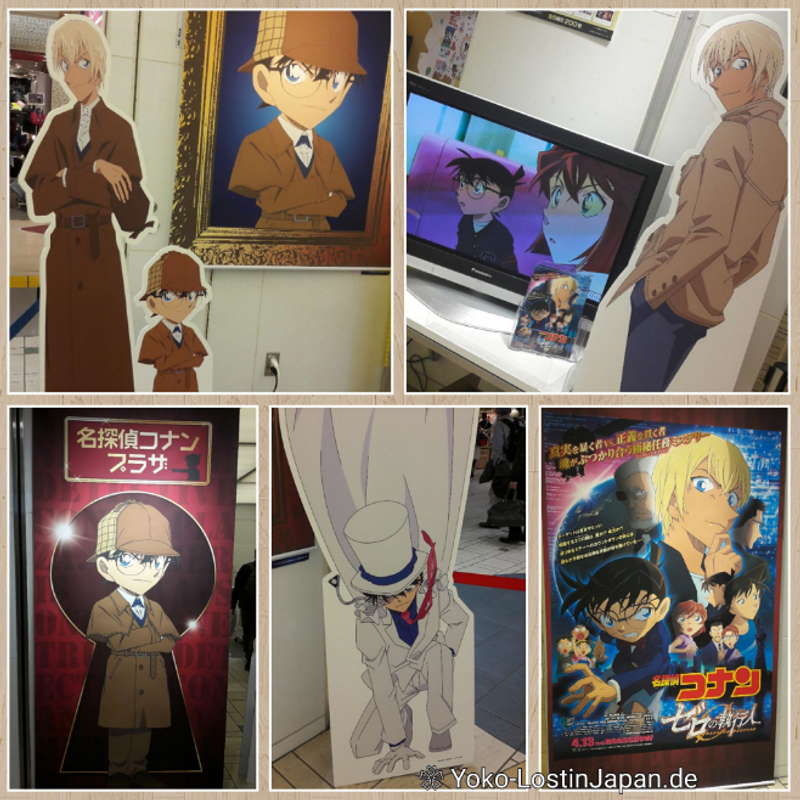 The so called Detective Conan Plaza (名探偵コナンプラザ) is opened from 27th March to 10th April 2018 every day from 10:00 to 20:30 (on the last day only until 18:30). 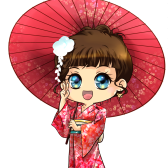 There you can find many different goods, most related to the new movie. Decide between many clear files, keychains, pens, notebooks and sweet boxes. They even have towels, T-Shirts, bags, plush toys - and a lot more. As a big fan surely you can leave a lot of money there. So if you are in Tokyo right now, don't miss the chance to shop there and take some photos. 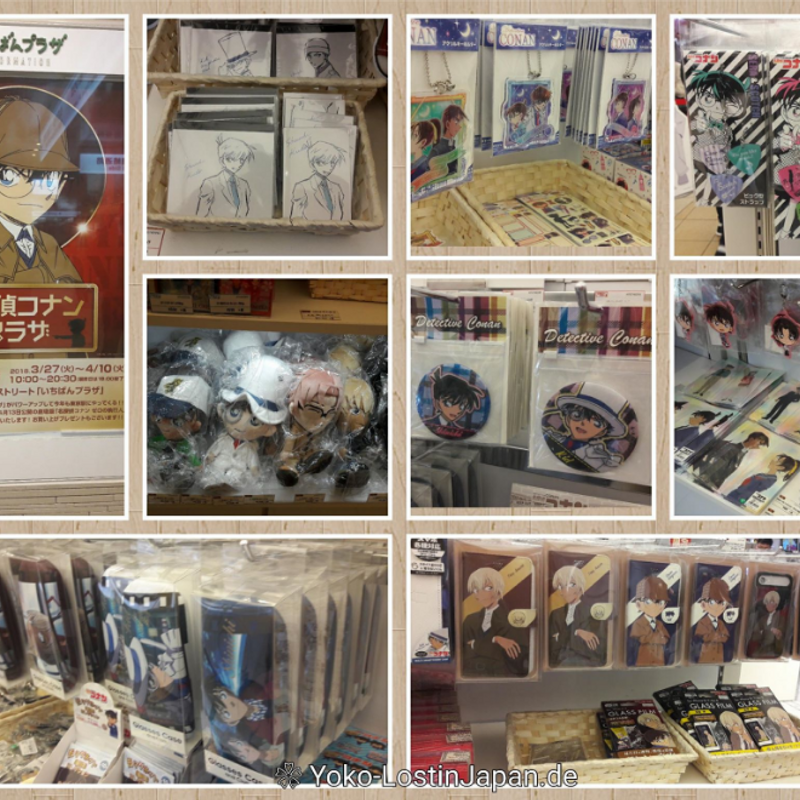 And if you are there anyway, you also can take a look through all the other shops of the Character Street.